The note on the bottom reads "Verandah moved and big drawing room window, 1848". 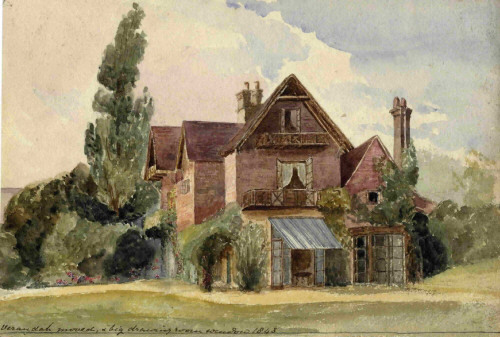 I understand that this was one of a series of sketches drawn while improvements were being made to the house by Julia's father George Heath. The house was later owned by Julia's brother Douglas Denon Heath.